Just in time for Wisconsin’s annual sturgeon season (Feb. 9-24), the Wisconsin Historical Society Press has released a new paperback edition of its top-selling, award-winning fishing history, People of the Sturgeon: Wisconsin’s Love Affair with an Ancient Fish by Ronald Bruch, Kathleen Schmitt Kline and Frederick Binkowski. It features photos by the late Bob Rashid. Through a fascinating collection of images, stories and interviews, People of the Sturgeon chronicles the history of these remarkable prehistoric creatures, how wanton harvest and habitat loss took such a heavy toll that they neared extinction, their comeback and the cultural traditions they have spawned. In Wisconsin, however, lake sturgeon have flourished through the dedicated work of Department of Natural Resources staff, university researchers and a determined group of spearfishers known as Sturgeon For Tomorrow. Thanks to these efforts, spearfishers flock by the thousands to frozen Lake Winnebago each winter to take part in a ritual rooted in the traditions of the Menominee and other Wisconsin Indians. A century of sturgeon management on Lake Winnebago has produced the world’s largest and healthiest lake sturgeon population. 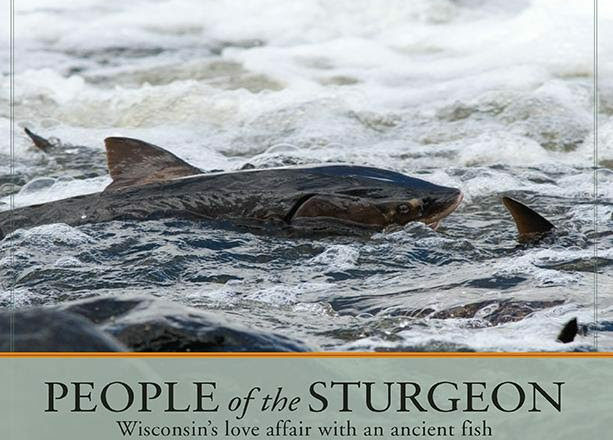 Find People of the Sturgeon at local retailers or online at wisconsinhistory.org/shop.